How to overcome the practical challenges of becoming and staying a vegetarian. 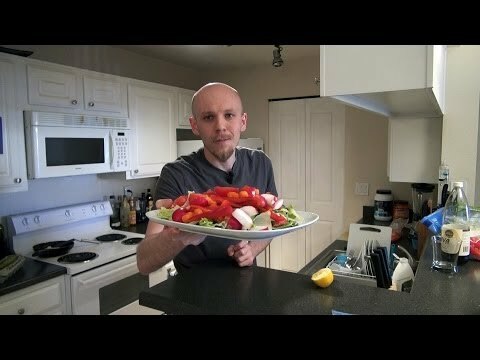 Hey, this is Leo from Actualized.org, and in this video I’m going to talk about how to become a vegetarian. Let’s break in this. How do you actually go about becoming a vegetarian? What are the practical considerations? What are the philosophical considerations? In this quick self-help segment, in about fifteen minutes, I’m going to cover all the ins and outs of really making this transition in your life. It can be a challenging transition to make. Let me start off by saying that I’m not a vegetarian. In fact, I don’t think vegetarianism is necessarily the most healthy diet out there, if you’re concerned just about diet. There, of course, are other considerations. There are perhaps considerations about morality, ethics that you have when considering the switch. Let’s go into all this stuff. In the end, this is not just going to be a theoretical discussion. I’m actually going to give you the practical steps that you can take to become a vegetarian, so that you’re actually a vegetarian in real life with your diet, not just in theory. The reason I can talk about this with some authority, even though I’m not a vegetarian, is because I’ve done a lot of work on my diet over the years. In fact, over the last eight years, I’ve really cleaned up my diet, lost a lot of weight. I’ve been able to make a lot of transitions with my diet, cleaning it up progressively over the years. I have some understanding of the psychology it takes to make a diet shift. Right now, I’m starting to lean more towards vegetarianism. I’m trying to put more vegetables in, trying to take out some animal products from my diet. That’s something that I’m currently working on. This topic actually resonates a lot with me right now. I see myself maybe becoming a vegetarian in the future, depending on where things go. What is the practical side of this? Let’s talk about how to become a vegetarian. I think there are two reasons that people become vegetarians. One is that you think vegetarianism is going to improve your health because it’s a healthier lifestyle. That’s one consideration. The other is the moral and ethical consideration of the cruelty that goes into butchering animals, eating animal products, the impact that perhaps has on the environment, how that’s contributing to global warming, how that’s contributing to unsustainable farming practices, unsustainable manufacturing practices. All those considerations. I’m actually not going to touch the ethical and moral considerations. That’s way too much to talk about in one video. I’ll cover that somewhere else. Here, I’m just going to talk about the practical side. The first question is: Is vegetarianism even more nutritious for you? Is it a better, healthier way to live than consuming animal products? This is also a pretty deep question. I think what I’m going to tell you here, rather than going into all the studies and debate around this,, I’m just going to say is you need to do your research. 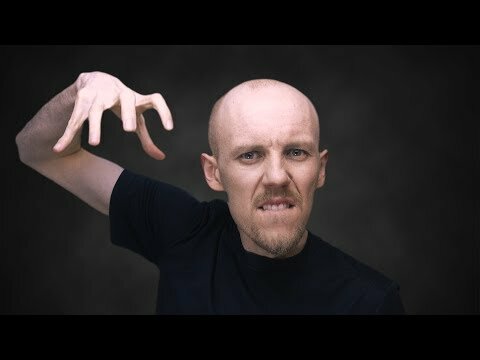 One of the reasons and one of the key techniques that I can give you here, for the psychology of changing yourself into a vegetarian, is to have a solid grounding in why you’re doing it. Make sure you’re doing it for a valid reason and that it’s something that’s going to stick with you. Something that’s going to resonate with you. Maybe you saw, for example, some documentary or shock footage on YouTube about animals being hurt, slaughtered, butchered, and now, it’s making you think about whether it’s right for you to be consuming animal products. I would say that’s a good place to start, but that should not be your motivation for becoming a vegetarian. That is a little temporary stimulus, a little temporary hit you’re getting of either fear, excitement or shock. That is not going to be enough to sustain a vegetarian lifestyle. What vegetarianism is going to entail for you is changing the practicalities of what you do throughout your day, how you eat, how you interact with your friends, how you interact with your family. Those are the real challenges. Those are the logistical challenges. I’m going to give you some tips on how to fight those. In order to really get to the cause of that, and to have a solid foundation, you want to know why you’re doing it. Make sure you understand why. I think that, if you’re coming at it from this nutrition standpoint, where you think vegetarianism is healthier for you, and I actually think there are some good, valid points to this, then go do the research. Buy some books. Some hard science that will show you, that will make a case, that will convince you why it’s good. Also, if you have some moral considerations, ethical considerations, go ahead and research those. Look at some books that talk about the sustainability of farming animals versus farming vegetables. Take a look at what kind of performance differences you might get, for example, if you’re an athlete, or you’re doing sports, you’re at the gym, you’re working out, you’re putting on muscle. That’s probably a concern for you too. To take a look at “Well, am I going to be able to do that on a vegetarian diet as well as I will on an animal based diet?”. There are ways to do it. You’ve got to go out there and do a little bit of research. Get yourself educated. That’s number one. Make sure you’re committing to a life-long sustainable change. There’s no point in becoming a vegetarian for a week. There’s no point in becoming a vegetarian for a month. If you’re really interested in this, then you want to make a transition. That means that not only are you going to have to make some changes in your diet, but you’re going to have to make some changes in your psychology so that now you’re on board with this. Where you start there is, I want you to accept the costs of becoming a vegetarian. That means you’re not going to be able to have that steak anymore. That means you’re not going to be able to have those eggs, if eggs are not going to be part of your vegetarian diet. You’re not going to be able to have chicken. You’re not going to be able to have turkey for Thanksgiving. You’re not going to be able to have some of these things that, maybe right now, you hold near and dear to your heart. That is the cost. I want you to weigh those costs against benefits you’ll be receiving. Those benefits, you have to make a list of benefits, what those’ll be for you. I don’t know. A potential list of candidates might be — first of all, you might be healthier. You might feel cleaner. You’ll get rid of that mental fog that you have from eating all these refined animal products. You might feel a sense of pride that you’re not contributing to problems in society with mainstream farming and manufacturing, and all the nasty practices that go on there. You might just feel a sense of pride that you’re not doing that. These are some of the benefits that you’re getting, versus the costs. Realize that there are going to be real costs. There’s also going to be not only the long-term costs, but also short-term costs. The short-term costs are really stuff you have to do to change your diet. That’s going to be painful and a little bit difficult for you, at first. It’s unnatural, in the sense that you’ve built up a habit of eating animal products. Now switching and cutting all those off is going to be difficult simply because our society is not a vegetarian society. Our society advertises animal products everywhere, almost everywhere you go, most of the dishes contain animal protein. That’s something that you’re going to have to wean yourself off of. Accept those costs. Be serious about them. That’s also why I want you to do some research, so you can understand what those costs are, but also understand what the benefits are. Now we’re getting into the real logistics of how to make this transition happen. If you have been eating animal product, and now you don’t want to be eating animal products at all, what I would say — and this is where my experience with diet comes in — you want to make these transitions in shifts, in phases. Here’ how I would do it. This is actually something that I’m toying with right now. I’m not technically vegetarian, but I’m going through a vegetarian phase right not. What that means is that I’m going through my diet and taking a look. What changes could I actually make in my diet that I would be reasonably happy with, that I could sustain for the rest of my life without being too depressed about not having in my life anymore? For example, can I get rid of chicken in my diet? Practical question. Am I OK with not eating chicken anymore? Am I OK with not eating stake anymore? Am I OK with cutting out butter? Am I OK with cutting out fish — salmon, I love smoked salmon — am I OK with that? What I’m doing right now is saying “OK, I think there’s something to this idea that if I become a vegetarian, it’s going to be healthier for me”. I wanted to test this out. What I said to myself was “OK, I’m going to test this out, and the way I’m going to do that is by cutting out some items.” I’m not going to become a vegetarian overnight, that’s too drastic of a shift, I know my brain and my body will rebel against that– what I have to do is go in there and say “OK, this week, when I go shopping, I’m just going to make some subtle changes. I’m not going to buy the stake I usually buy. I’m not going to buy the chicken I usually buy I’ll buy something else. I’ll buy more fruit, more vegetables. Maybe I’ll buy some whole-grains to replace that. One of the questions I had when I was starting this was “Well what am I going to replace my stake and my chicken with?” Cause I eat those on a weekly basis. I love them. I have good recipes already in place for those. I don’t even have any vegetarian recipes. I don’t even know how to cook vegetarian stuff. So what I need to do there is say “OK, there’s a logistical challenge here. I need to plan this out. I can’t just jump into it.” First things first, I cook at home. I cook all my own meals. That’s another topic. I cook all my own meals, so that means I need some recipes for vegetarian dishes. If I don’t have the recipes that means I’m going to be tempted to go, next time I’m at the supermarket, and just grab that chicken or steak, because I have recipes for those and I don’t have other recipes. Maybe that means I have to go online, do a little bit of research, find the recipes. Maybe I need to buy a vegetarian cookbook. These are practical, logistical considerations. I want you to start thinking about these. If you don’t do this, I guarantee you, you’re not going to be able to make the transition. It’s not going to be successful. It’s not going to last, long-term. Let’s go into some of the other points here. For me, for example, it’s a little bit easier, because I do cook all my own meals. I already went through that shift. I already went through that phase, where I transitioned off of all the fast food, all the restaurant food out there, which is in my opinion garbage. They use the lowest grade ingredients that you could possibly get because they’re trying to raise their margins. I don’t blame them, but that doesn’t mean I’m going 0 to ingest that and put that into my body. What I decided to do is make a transition. I did this about six months ago, where I transitioned entirely from restaurant food to cooking my own meals. That way I have full control. I can shop for organic products, go to wholefoods, get all the high quality ingredients I want. I know exactly what’s going into my food. No trans-fats, no artificial stuff. For me, that transition took place six months ago. Now it’s easier, because I make all my own meals. I can control this. It’s pretty easy — if I want, I can cut out protein, I just need to find replacements. For you, it might be more challenging. I bet that you’re not cooking all your meals. You’re probably snacking on stuff, buying stuff at the gas station. You’re snacking on stuff at work. You have a habit of going to different restaurants, eating out with your family, eating out with friends, eating out with coworkers. That’s going to be a logistical hurdle you have to overcome. I would say, start planning in phases. Maybe the first phase for you is to wean yourself off all the restaurant and take-out food. Maybe that’s going to be your first phase. The next phase, maybe, taking out red meat. Then maybe the next phase, months down the road, will be taking out seafood and chicken. Maybe then, a few months later, you’ll take out eggs and butter, and go even go more towards vegan than vegetarian. Maybe that’s how you want to do it, in phases. Not just all in one go. It’s not going to work. It’s just going to be too hard. It’s not going to work unless you’re incredibly driven for some sort of moral reason. I would say, think about it like this, this is how you change your diet. This applies not just to vegetarianism, but to any kind of diet change you want to make. You want to think it out, consider the logistics. Logistics, for you, are going to include your work, your family, your friends, how often you’re eating out versus how often you’re cooking at home, your athletic or gym performance that you want to have. Think about all those things and ask yourself the critical questions. What am I going to need to do to clean up my diet at work, around the family, with my friends, in order to get the gym performance that I want? What am I going to have to do to make the shift into vegetarianism? You’re probably going to need to come up with a system so that you’re not going for that pizza with pepperoni and sausage that is always showing up every Friday night at work. OR when your friends go out someplace, to some steak house, you’re going to have to find some vegetarian options there. Looking at the restaurants that you go to and making sure that there’s a vegetarian option in each one of them. Otherwise you have to tell yourself that you’re not going to go there anymore. You have to set some of these hard and fast rules and you have to think it through. The real challenge with diet is the logistics of it. People don’t think it through so it ends up happening that their friends just drag them out one night and they end up deciding to go to a pizza place. There, everyone decides to order meat-lovers pizza. All of a sudden, you’re just sitting there and looking at it, and there it is. You really don’t have any other options. You’re kind of committed to eating that pizza or being hungry. You have to think about that. What are you going to do? Where are you going to draw the line? Is it before 0you even enter the pizza place? Is it going to be after you enter the pizza place, and maybe ther you decide you’re going to have a salad, and you have some strategy for how to get those salads instead of being tempted by that pizza? What is it going to be? MAybe you’re going to get a vegetarian pizza. I don’t know. Think about that stuff. This Is important. This is how you actually make the transition. Even though you can read all these books on nutrition, all these books about pro-vegetarianism, con-vegetarianism, vegan, something else… You have all these different opinions out there. In the end, what matters is what works for you. What agrees with you, not in theory, but in practice. That means go out there, start making the changes and start seeing. What are you satisfied with? What are you not satisfied with? Be more aware. Listen to the signals your body is sending you. How are you feeling? Start noticing. If you’re starting to go all vegetarian, start to notice how does that affect your mental performance. How does that affect your performance at work? How does that affect your moods? How does that affect your gym performance? How does that affect your family and relationships? It’s going to have ramifications in all those areas. Start to notice that and don’t be so dogmatic about this being right or wrong. What’s actually right or wrong is simply how you feel. Do you actually feel happier as a vegetarian? Do you feel better? Do you have better performance in your life? Do you feel less guilt? Do you feel more ethical? If you do, then it’s right for you. If you don’t, then stop doing it. Give it a good go, but if it’s not working for you, stop doing it. The last point I’m going to make is: get some blood work done. I think that’s important too. 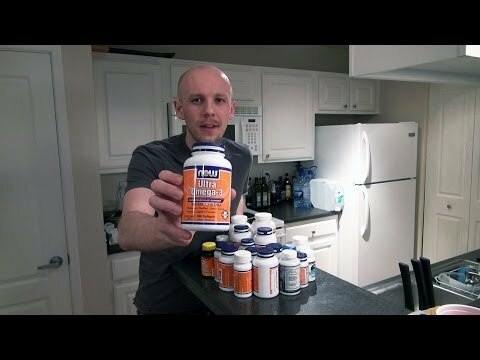 One of the things I learned from the biohacking movement I was kind of a part of — experimenting with different supplements and different diets — the key is to track yourself. Track your statistics. Track how you feel, but also have some objective metrics. Before you start making a big diet change, I would recommend doing some blood work. Get some blood work on your lipid numbers, cholesterol numbers, just to get a baseline for where you are now. Then go ahead and start implementing changes in your diet. Then you can get blood work done, maybe six months or twelve months later. Just see what happens. See the difference. Those are going to be some hard numbers. You’re actually going to be able to prove to yourself something happened. Don’t make the mistake of saying “Well, blood work is so technical. It costs money.” In the end, the blood work costs a hundred, two hundred bucks, if you’re paying cash. If you have insurance, it’s probably even cheaper for you. Go out and do that bloodwork. What that’s going to do, critical thing, is give you evidence to support your actions. That means that if you take your cholesterol numbers today, then go vegetarian for six months and then take them again and find out your cholesterol has dropped, all your numbers have improved, you’re seeing better gym performance. What that’s going to do is, in your mind, it’s going to build a case for why what you’re doing is good. Because it’s very easy to forget that once you’ve made those positive changes, you’re going to start to feel like “Well, nothing’s really changed in my life.” You’re just going to kind of get acclimated to the new position. Sometimes, that will actually tempt you to get thrown off course and to drop off. All of a sudden, you might notice yourself not being a vegetarian any more, sneaking in some non-vegetarian meals here and there. The way to prevent that is to build up a case that what you’re doing is good, that it’s working. It’s not just theory, it’s working. You’re feeling it. You’re seeing it on the printout page with your numbers. This is it. I’m going to sign off here. This is how to become a vegetarian. Please, like this and share it. That’s why we release this content for free. What I want you to do is go to Actualized.org and check out my newsletter, because there I have more in-depth articles, video content that is exclusive to Actualized.org where we talk about the psychology of not just diet, but your whole life. How do you master your whole life so that everything in your life is working well? 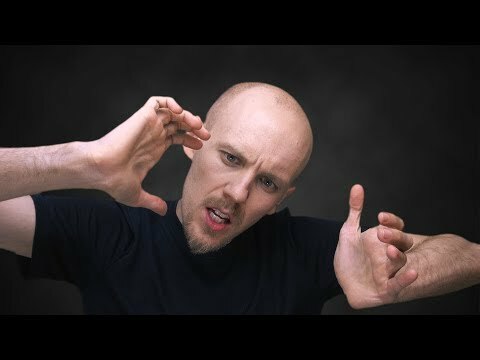 As you noticed here in this video, I talk about a lot of the mindset that goes into making a practical change like becoming vegetarian. What I found is that these kinds of mindset shifts are necessary in all parts of your life to become successful, to create the amazing kind of life that you want. My motto is: Master your own psychology, therefore you master your own life. You create an extraordinary kind of life. Check out my newsletter — I’ve got some amazing bonuses right now for free, for signing up. Those include a nineteen-part video series and all my subscribers have a chance of winning two hours of free coaching from myself every month. I have allergies to eggs, milk, beef, pork, and chicken. so I turned to a vegetarian diet. Growing up in Ukraine I learned from my Mother and Babushka how to eat fresh/ raw and cook from scratch. I juice, make my own preserves, (even mayonaise), ferment cabbage for souerkraut, pickles, eggplant, tomatoes, etc. and use as much fresh organic produce in my daily diet as my budget allows. People don’t know that there is actually plenty of plant-based protein in vegetables (like carrots, for example), legumes, algae (like chlorella), etc. Animal protein is harder to digest and the least you tax your digestive system, the longer you live. A healthy body is a clean body, and a clean body can only be possible to achieve by eating clean food from the earth. I,be been following the videos of Les maybe already 2 years. Without having watch this video I’ve suddenly decided to cut meat. I felt terrible after New Years holiday, I spent two weeks in the office without doing any work. Then one day I,ve watch an excerpt of Forks over Knifes and just stopped eating meat. Already 3 months, it’s amazing lifehack. I am now trying to go vegan as much as I can. Most importantly, I’ve followed all thing Leo mentioned in this video, without even watching it! For me this means his content is quite powerful and consistent. Today I wanted to check his view on that and I was amazed.